This Friday at 4pm (AEST) sees Sam Smith & Normani release their joint single “Dancing With A Stranger”, via Capitol Records & EMI Music Australia. Pre-save the single HERE. Sam Smith has spent the past year travelling around the world on tour following the release of his sophomore, ARIA Platinum Certified album “The Thrill of It All”. 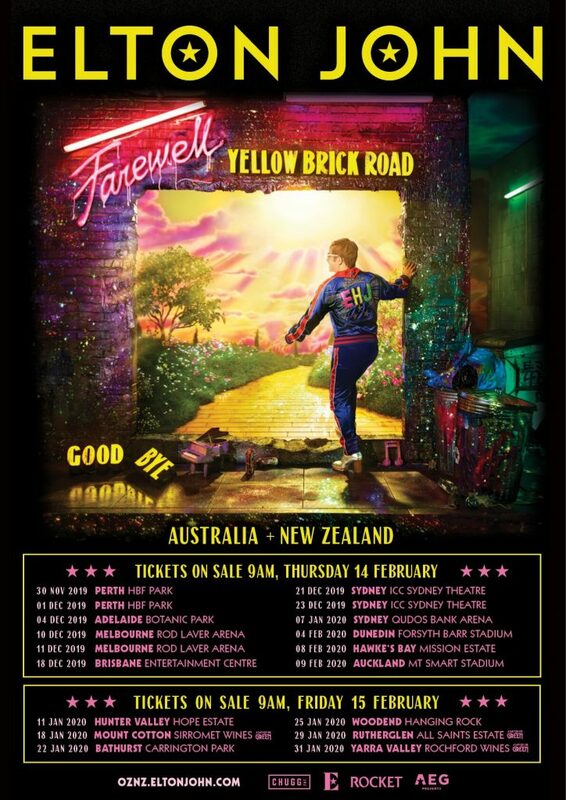 After 94 shows and selling over 1 million tickets, late last year Sam finished his critically-acclaimed “The Thrill of It All World Tour”, with sold out arenas across Australia. Sam has currently sold over half a million albums in Australia. “Dancing With A Stranger” is the first new music from Sam Smith in 2019 and follows on from his global hit with Calvin Harris “Promises” which currently stands as the #1 national airplay song and his sixth Top 5 single on the ARIA Charts. Smith will be flying out to South America this spring for Lollapalooza before heading over to South Africa for a string of five shows in Cape Town and Johannesburg. 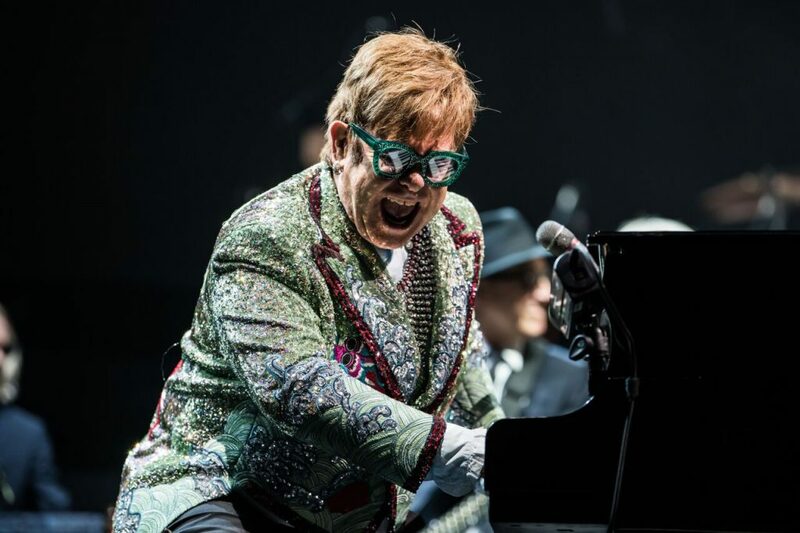 Organisers of the RED HOT SUMMER TOUR are excited to announce they will be bringing the award-winning festival to Rockhampton in 2019 for the first time. 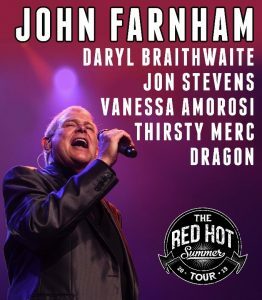 The Easter show is part of the touring festival’s Series Three line-up, headlined by John Farnham, featuring Daryl Braithwaite, Jon Stevens, Vanessa Amorosi, Thirsty Merc and Dragon. This is a massive coup for regional Queensland audiences. The RED HOT SUMMER TOUR in 2018 already won itself the Best Selling Festival accolade in the Ticketmaster Awards, a coveted title for an tour that is dedicated to taking first class music out to regional Australia across four months from January to April each year. A long-time supporter of the RED HOT SUMMER TOUR, Daryl Braithwaite always puts on an incredible performance – it’s why his return to the line-up is highly anticipated. He is one of the most recognisable voices in the Australian music scene, and with a diverse career that has spanned decades. Daryl’s consistency as a performer has never wavered, something that sees him performing regularly to packed crowds around the country. Starting his career in the 1970s as the frontman for Sherbet, Daryl was crowned King of Pop and the band produced 20 national Top 40 singles. In the 1980’s Daryl set out on his own solo career, releasing smash hit singles such as One Summer, As The Days Go By and Sugar Train to name a few. His anthemic version of The Horses is always a crowd-pleaser and a favourite for RED HOT SUMMER TOUR fans. Tickets are on sale at 9am AEST on Thursday 13th September 2018. 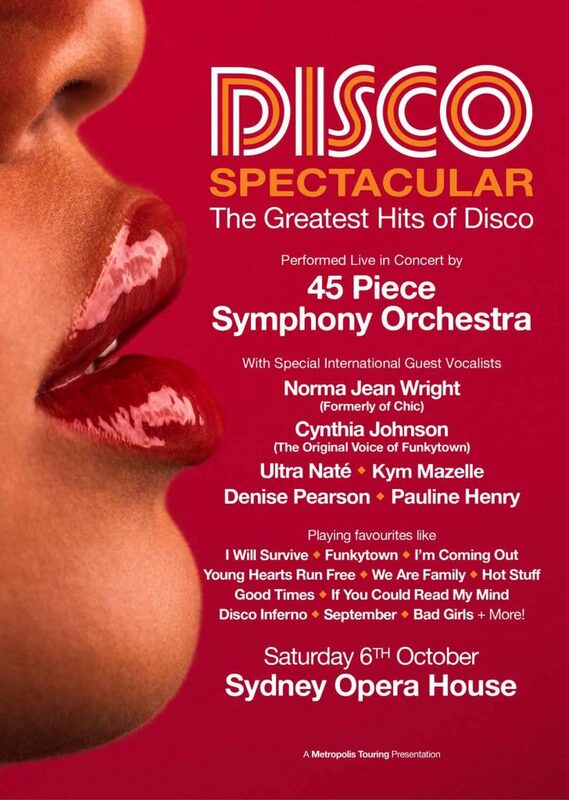 Tickets are only available through authorised ticket outlets listed. Patrons are advised not to purchase tickets from Viagogo or other Third Party Sellers, as fraudulent tickets will not be honoured. Please only use the authorised sellers listed below. 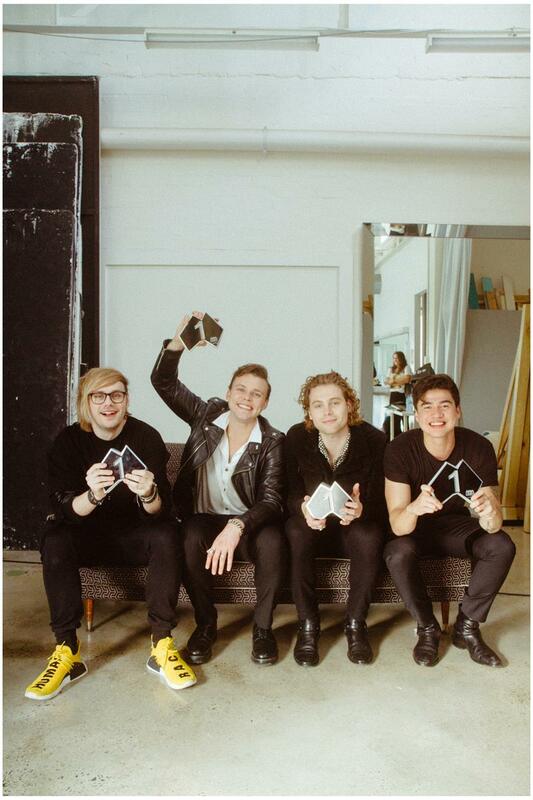 Australian pop/rock band 5SOS (5 SECONDS OF SUMMER) dominates Australian Charts with new single ‘Youngblood’, claiming No. 1 position on the ARIA Singles Chart, as announced this afternoon. It is ARIA’s first Australian chart-topping single of 2018. This success follows a No. 1 on the Apple Music Song Chart, the only local act to achieve this feat. ‘Youngblood’ is the band’s second ARIA Number One single following ‘She Looks So Perfect’ in 2014. 5SOS is in Australia for a high-profile promotional tour ahead of the release of third studio album, YOUNGBLOOD on June 22. This week they announced their Meet You There national tour for August of this year, with tickets on sale now. These all ages live dates will give fans the opportunity to hear new tracks ‘Want You Back’ and ‘Youngblood’, alongside old favourites like ‘She Looks So Perfect’, ‘Amnesia’ and more! The Meet You There tour will kick off at Sydney’s Hordern Pavilion on August 9, followed by Brisbane Convention and Exhibition Centre on August 11, Festival Hall in Melbourne on August 13, Adelaide’s Thebarton Theatre on August 16 and concluding at HBF Stadium in Perth on August 18. New single ‘Youngblood’ is dominating Australian charts – No. 1 on the ARIA Singles Chart, iTunes, Shazam and Apple Music, No. 2 on Spotify, and is a GLOBAL top 30 record. ‘Want You Back,’ the first single from the “Youngblood” album, debuted at No. 1 on iTunes in over 18 countries and has amassed more than 93 million streams worldwide. Hailed as the “biggest new rock act in the world” by Rolling Stone, 5SOS is the only band (not vocal group) in history to see its first two full-length studio albums enter the Billboard200 at No. 1. 5SOS’s self-titled debut album has sold more than three million units worldwide, with 1.5 million albums and more than 4.5 million single tracks sold in the U.S. alone. 2015’s “Sounds Good Feels Good” charted at No. 1 in 12 countries, including Australia, the U.S. and the U.K. ‘She’s Kinda Hot,’ the album’s first single, topped the iTunes charts in 44 countries. YOUNGBLOOD, the third studio album from 5SOS, is released on June 22 on EMI Music Australia – pre-order HERE. 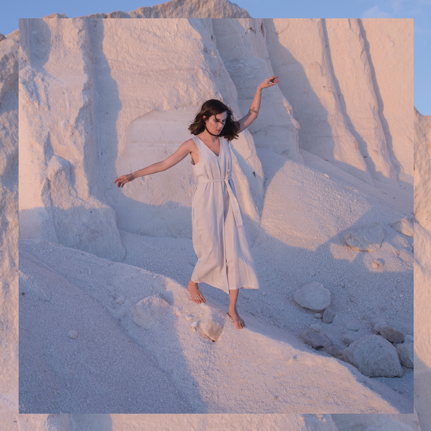 Missy Higgins’ fifth studio album, Solastalgia, is unveiled today. The beloved singer/songwriter has vaulted back into the spotlight this year. Her new singles ‘Futon Couch’ and ‘Cemetery’ ignited playlists everywhere, an impassioned appearance on ABC-TV’s “Q&A” provoked national debate about refugee policy, and a stadium tour as Ed Sheeran’s special guest ensured Australia fell in love with her all over again. Not surprisingly her headlining national tour – which starts next week – sold out faster than any in the last decade. So 2018 marks an exciting new phase in Missy’s career but it also signals a fresh start creatively. She has clearly absorbed some fresh influences since her last collection of original songs, The Ol’ Razzle Dazzle (2012), joined The Sound Of White (2004) and On A Clear Night (2007) in debuting at #1 on the Australian charts. 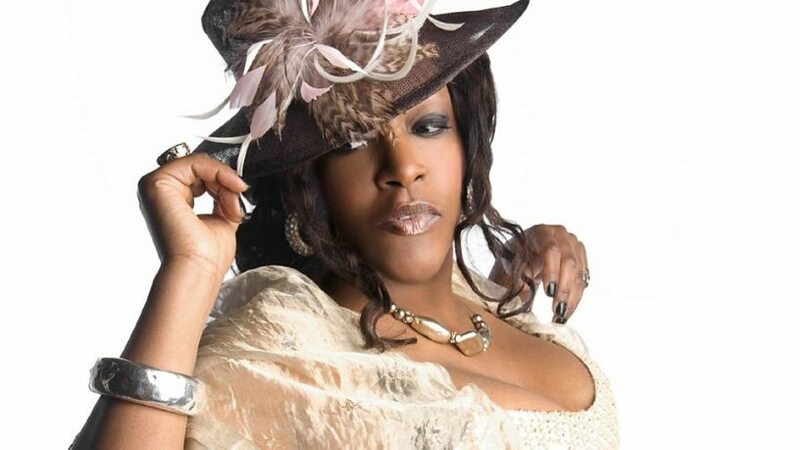 The three albums have collectively sold over a million album copies in this country and earned her nine ARIA Awards but Solastalgia sees Missy exploring new frontiers. Synthetic soundscapes and drum loops now underpin the organic pianos and acoustic guitar tones that people typically associate with her, perhaps reflecting the addition of new production collaborator Pip Norman (Tzu, Troy Sivan) and mixer John O’Mahony (Vance Joy, Coldplay, Metric). The album also sees some different lyrical approaches. The title Solastalgia refers to the existential crisis people feel when confronted by seismic environmental change so as the word suggests, there actually is a bit of an apocalyptic theme that runs through many of the new tunes. “How Was I To Know” (co-written and produced with Adele collaborator Dan Wilson) literally contemplates “the end of everything” while “Hallucinate” is a tense and restless rumination on a fragile future. Clearly this is the same yearning and earnest songwriter who penned Australian classics like “Scar”, “The Special Two”, “Where I Stood”, “Steer” and “Everyone’s Waiting” but she has simply moved into a different phase of her life. She’s still grappling with finding meaning and sharing it in her work but the stakes are now even higher. But while the word “solastalgia” describes this exact fear it is actually a hybrid of the latin terms for both “comfort” and “pain” so the picture isn’t one dimensional. On tracks like the album’s first hit single “Futon Couch” Missy playfully recounts the story of how she met her husband at a Broome share house. “The Difference” sees her embracing the idea that things can be changed for the better while “Red Moon” (co-written and produced with Tove Lo and Broods collaborator Alex Hope) is an end-of-days romantic fantasy. In an era where albums are increasingly being sidelined by individual tracks Solastalgia is a defiant piece of work. It makes the case that a dozen songs in a row by one artist can fill a broader canvas picture that’s worth the time required to absorb it as one piece. While playlists can clearly be fun and there are songs here that can fit on them, this is a genuine album in the classic sense of that word. 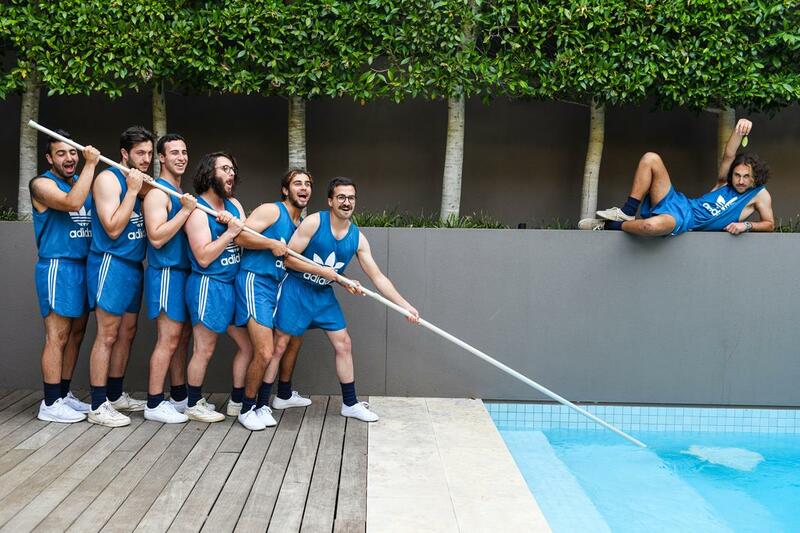 After releasing their critically praised new single ‘Semiotic Vision’, Melbourne indie-pop collective Approachable Members of Your Local Community have just revealed the accompanying music video. Shot and directed by Giulia McGauran on Carlisle Street in Melbourne inner-suburb Balaclava, the clip sees the septet candidly strolling around their local community, setting out to help out fellow citizens with day-to-day tasks. 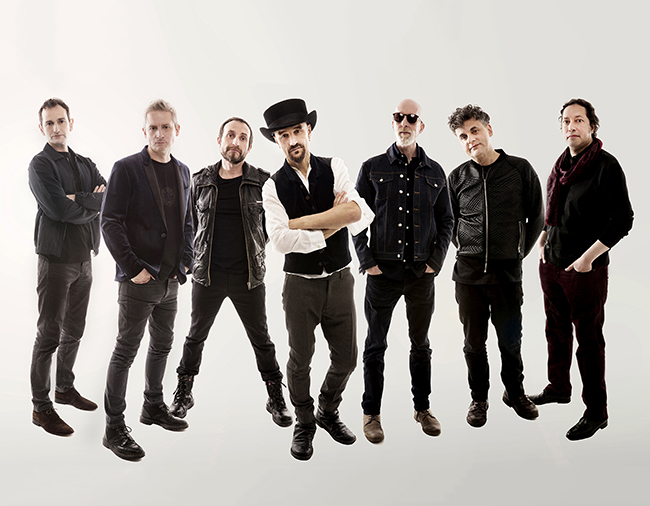 Throughout the video, the band members sporadically break into synchronised dance routines; choreographed by friends and the band members themselves. “We felt as though it was important to follow through with our namesake and scour the local community! See who’s out there, see what’s buzzing, see who we can help. It seems as though we are great cardboard garbage men”. Since the release of ‘Semiotic Vision’, the song has been strongly supported via Australian radio stations triple j, triple j Unearthed, FBi, 3RRR, 4ZZZ, SYN FM, Radio Adelaide and Edge Radio, worldwide blogs and added to a swag of official Spotify curated playlists including Fresh Finds (USA), The Office Stereo (AUS/NZ), New Alternative (NLD) and New Music Friday in both Australia and Netherlands. On the week of the track’s release in early-March, the group performed on Kira Puru’s ‘Tension’tour to enthusiastic sold-out crowds. This month will see the band return to the stage for their own tour, performing at Melbourne’s The Toff In Town and in Sydney at Rare Finds’ 3rd Birthday at Oxford Art Factory. In May, Approachable Members of Your Local Community will perform at The Squeeze Mini-Festival and release their highly anticipated debut EP.